The Mercer Island Islanders girls basketball team registered a monumental victory against one of the best teams in Washington in the Class 3A 2017 SeaKing District II semifinals. The Islanders, who trailed the No. 1 seeded Bishop Blanchet Braves 31-21 at halftime, nabbed a 50-44 comeback victory on Feb. 16 at Bellevue College. It was the first time during the 2016-17 season the Braves have suffered a defeat. 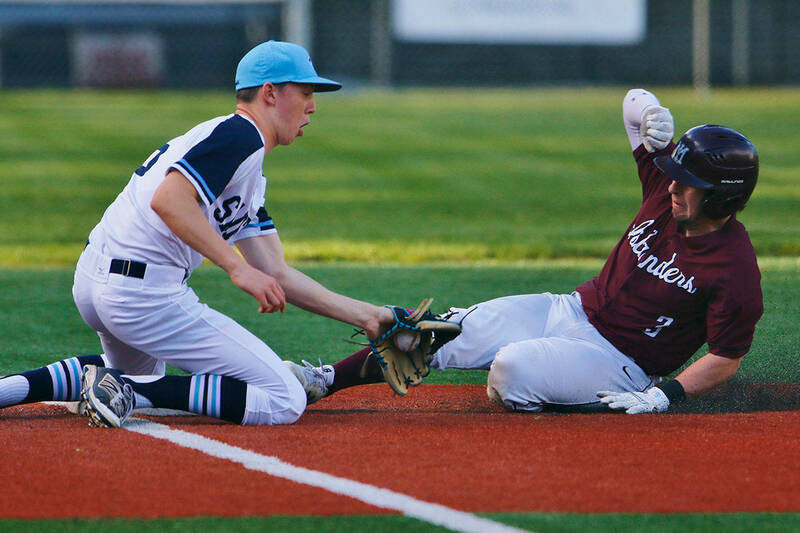 Bishop Blanchet dropped to 22-1 overall while Mercer Island improved to 20-4. The Islanders will face West Seattle in the SeaKing District championship game at 8:15 p.m. on Feb. 18. Things didn’t look good early for the Islanders against a formidable Braves squad. Mercer Island trailed by 10 points after two quarters of play. The second half was a completely different game for the Islanders. In the third and fourth quarter, the Islanders unveiled a trapping zone defense that flustered the Braves. The Islanders put pressure on Bishop Blanchet from baseline-to-baseline which paid dividends. Mercer Island went on a 14-0 run to start the second half, building a 35-31 lead on a Anna Luce basket with 2:31 left in the third quarter. The Islanders controlled the action in the fourth quarter coming up with three key offensive rebounds in the final four minutes of play, preserving the victory. Mercer Island junior guard Jessie Stenberg was jovial following the biggest win of the 2016-17 season to date. The Islanders have struggled with rebounding throughout the season but came up with the crucial offensive boards when they needed it the most in the fourth quarter. d’Hondt was glad her squad was able to recover from a sluggish first half. “We came out slow but we awoke from our slumber as I like to put it in the second half by coming out aggressive. We knew we could run on them and we executed our offense very well in the second half. We’re excited to move on,” she said. The Islanders have won their past three playoff games since losing to Bellevue 49-45 on Feb. 9 in the Class 3A KingCo title game. “Honestly I think it (loss) helped us. It brought us together. It exploited our weaknesses and helped us get better,” Stenberg said. Luce scored a game-high 26 points in the win against Bishop Blanchet.